Right from the get go mimosa if the star of the fragrance. In the top notes it is rich and spicy, accented by saffron and cardamom. In truth, the cardamom is incredibly subtle and almost folds itself deep into the thick buds of the mimosa, adding a nutty warmth and slightly aqueous undertone. The mimosa itself is soft and pollen like with a cool green edge. It feels thick and hazy, almost as if it permeates every fibre of the air and rearranges its texture. As you can imagine with a Jo Malone London fragrance though, this isn’t a huge mimosa and the sillage is muted and paired back. As it develops, Mimosa & Cardamom shifts from supporting to the milky and creamy texture of tonka bean. The mimosa really kicks things up a gear and settles into its groove when the vanilla/tonka comes in, and that’s really how it remains. At this point the whole thing sits on the skin like a bright yellow carpet of velvet that is creamy and fuzzy. From a distance things appear smile, but upon closer inspection one notices that the fibres are interwoven with small buds of jasmine and orange blossom, creating a complex bed of scent to rest upon. Mimosa & Cardamom is great. It possesses all of the complexity of mimosa; i.e, the pollen-y richness, the cool green undertones and smooth creamy texture, and presents it without too much adornment. The whole thing feels incredibly bohemian and whilst it’s an autumn launch, I think it’s perfect for summer and is crying out to be worn with a flowery sun dress (or shirt, if you’re a guy) and ridiculously large hat. 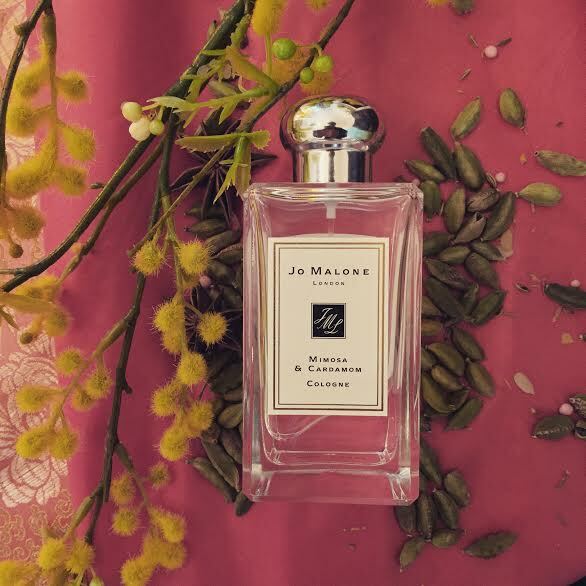 Sure, it could have a little bit more oomph, but if it was a bit heavier it would perhaps lose some of that Jo Malone London character it possesses, and it gives a little bit of a wispy edge to the bold tones of mimosa. In short, this is a very good piece of work that you must smell. The end. 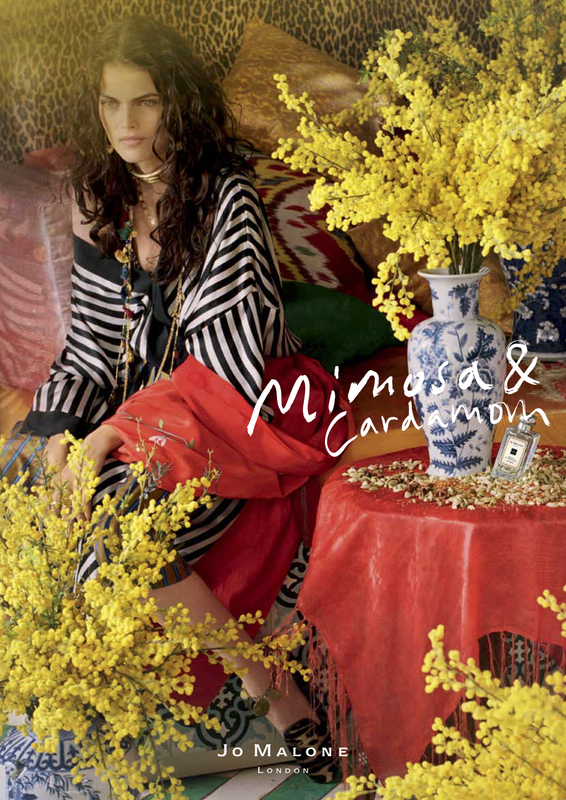 Mimosa & Cardamom launches in September 2015 and will be available in 30ml (£42) and 100ml (£85) Cologne. Matching body products, specifically; a Body & Hand Wash (£28/250ml), a Body Créme (£50/175ml) and a Home Candle (£42/200g), will also be available. Sample, notes, quotes and image 1 via Jo Malone London. Image 2 my own. Posted in Floral, Jo Malone, Oriental, Perfume Reviews and tagged Bohemia, Floral, Jo Malone London, Marie Salamagne, Oriental, Perfume Review. Bookmark the permalink. Oh I can’t wait! I love mimosa, it reminds me of the Cote d’azur in February. Mimosa pour moi from L’artisan parfumeur is one of my favourites. I need to try the L’Artisan. Hopefully M&C will encourage more brands to use the note. Just tried (and bought) this today! It’s gorgeous and warm and spicy and much more subtle than I expected it would be. Decent longevity for a Jo Malone too. Love. Absolutely agree with all that you’ve said. It’s a great piece of work. I’m in love with this scent. I tried it twice and I’m definitely buying a full bottle soon. It’s lovely!